We will ask you to provide your personal information to us when you enroll to our program . We will also ask you to provide your personal information to us when you send e-mail to us from this Web site. When you enroll for an credit repair program at Avalon Credit, we will ask you to provide your name, home address, mailing address, telephone number and e-mail address. 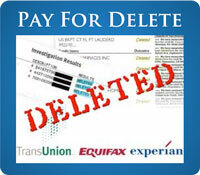 This information will be provided to tcredit repair company when you purchase a program. 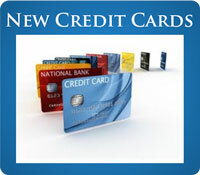 We will maintain a record of your information at the offices of Avalon Credit so we can provide you with our services. The employees of Avalon Credit are each required to sign and acknowledge a Confidentiality And Nondisclosure Agreement. Each employee has been instructed on maintaining the privacy of each customer and the importance of protecting the customer's personal information. When you purchase an credit repair program from Avalon Credit, you will pay the premiums with your credit card or personal check. We do not keep a record of your credit card information. If you pay the premium using your personal check, we might keep a copy of your check in your file. When you send us e-mail from this Web site, you will provide us with certain personally identifiable information including your e-mail address. •	You, on applications or other forms. Information we collect may include names, address, and social security numbers. •	Your transactions with us, such as payments of premiums or submission of claims. •	Credit reporting agencies, insurance reporting agencies, government agencies, and medical information providers. Please contact our office at 949-873-0337 to discuss specific coverage details. In order to protect your privacy, please do not send us your confidential personal information by unprotected email. Instead, discuss that personal information with us by phone. Personal information about you, including information from a credit report and loss histtory may be collected from persons other than you in connection with this application for credit repair and subsequent policy renewals. You have the right to review your personal information in our files and can request correction of any inaccuracies. Such information as well as other personal and privileged information collected by us or our agents may in certain circumstances be disclosed to third parties without your authorization to assist in servicing your account. A more detailed description of your rights and our practices regarding such information can be accessed by contacting your agent or broker and asking for additional details about our information and disclosure practices. Any person who knowingly and with intent to defraud any icredit repair company or another person files an application for credit repair containing any materially false information, or conceals for the purpose of misleading information concerning any fact material thereto, commits a fraudulent act, which is a crime and subjects the person to criminal and (NY: substantial) civil penalties. (Not applicable in CO, HI, NE, OH, OK, OR, or VT; in DC, LA, ME, TN, VA and WA, insurance benefits may also be denied). A cookie is a piece of data that is stored on a visitor's hard drive while they are visiting this Web site. We may utilize a short-lived form of cookie when you visit this site. At Avalon Credit, a cookie is only used to identify one unique visitor from another visitor during a particular session. A session is the period of active site-use while that unique visitor is linked to our server. We may use cookie technology during a session as a tool to carry forward your input information during the enrollment process. This enables the visitor to input their information once and have the information appear later during the enrollment process. No personally identifiable information is stored on the cookie. The cookie expires and is deleted from the visitor's computer as soon as they close their browser or if they are not actively browsing our Web site for more than 20 minutes. Should a previous visitor to our Web site return for a new session, they will be issued a new cookie and in no way will they be recognized as a visitor from a previous visit or session.